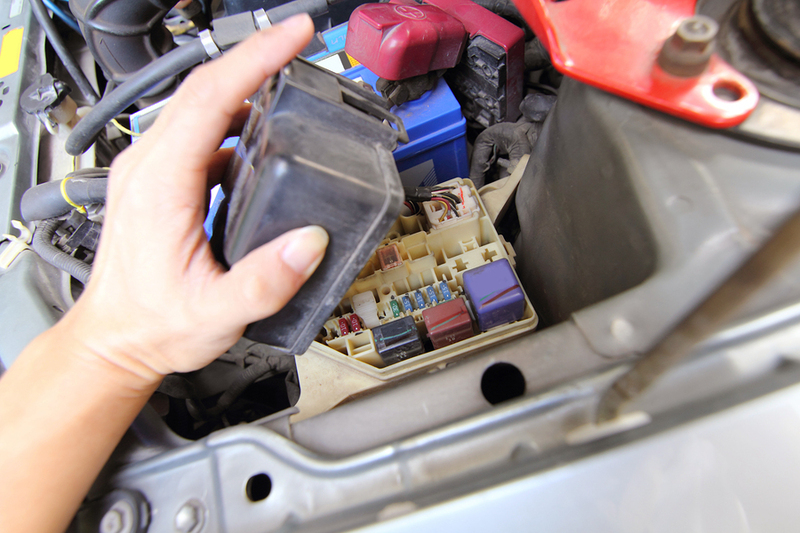 Your vehicle depends on its electrical system to do a myriad of things, from starting the engine to running the safety gear. And like any vehicle system, it needs care and respect to run at its best. But how do you keep an automotive electrical system functioning at it's peak? 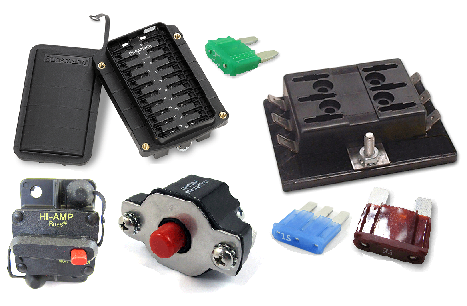 The most important aspect of selecting circuit protection devices for trucks, off-road equipment and other mobile equipment is a complete understanding of the system to be protected. 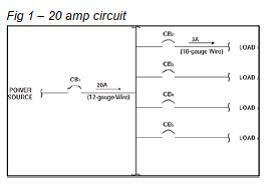 Because the circuit protection design is usually one of the last considerations, and time is always at a premium, this aspect of electrical system design is usually rushed. 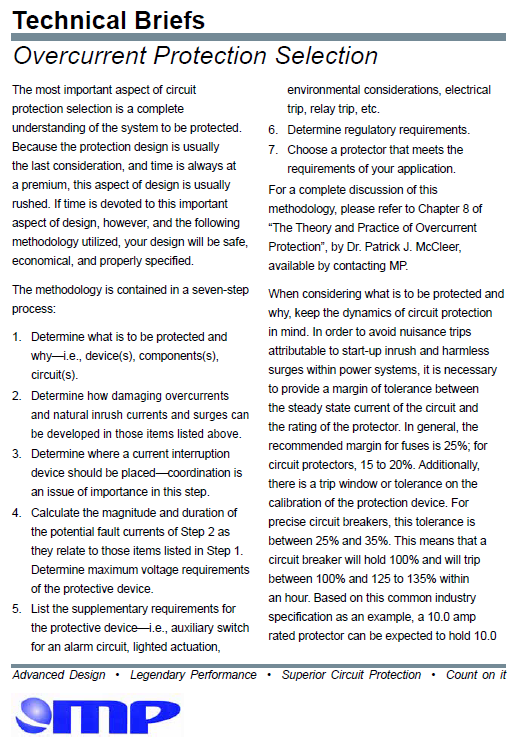 Mechanical Products, a manufacturer of thermal circuit protection devices, recommends an easy seven-step process for effectively selecting your overcurrent protection solution. 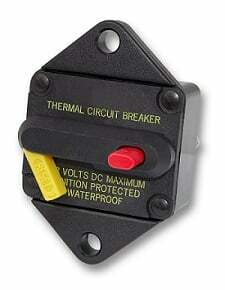 Marine rated battery fuses are a new circuit protection device from CooperBussmann by Eaton. 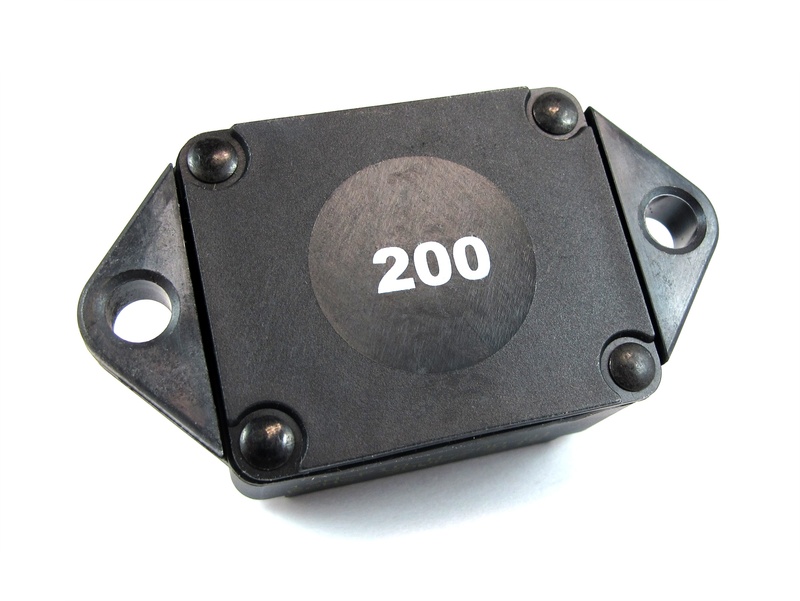 Designed for the most demanding environments for the tightest space constraints.